The Boston Bruins are reportedly “actively listening to offers” on both David Krejci, and David Backes; thus leaving Bruins fans wondering what exactly GM, Don Sweeney, has in store for this upcoming offseason. It didn’t take much time for a couple of potential candidates to come to the forefront of the rumors as potential replacements for Krejci and Backes, should they be moved; Ilya Kovalchuk and Islanders star center, John Tavares. Now, after whiffing on the Russian winger, it seems inevitable that the Bruins interest in Tavares would just be considered as “smoke” getting blown into the faces of Bruins fans, much like a lot of other stars that have hit the open market in the four major sports. 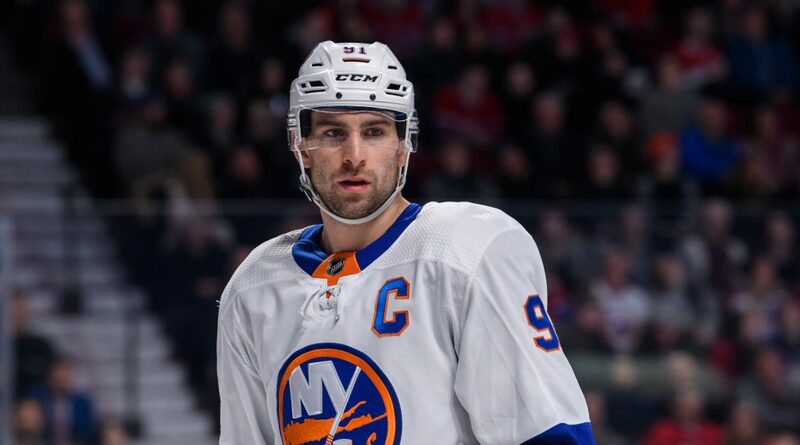 However, this instance seems to hold a different feeling to it than most, as the Bruins are actually on a short list of teams that Tavares is interested in meeting with. The centerman for the Islanders will be going into his age-28 season next year, and is coming off a campaign in which he scored 37 goals and 47 helpers, all while averaging just about 20 minutes on the ice each game. In doing so, he has made himself a hot commodity for contending teams needing one more proven scorer to get them over the hump. As of right now, the best offer on the table for Tavares was an eight-year deal, worth $88 million from the Isles. As a result, they have set the bar incredibly high for opposing teams who might want to make an offer on the Mississauga native. As far as the Bruins are concerned in this, they’re not in the best cap situation in the world. Not that they have limited flexibility now, but if they tie themselves up in a deal in which they’re paying a guy over $10 million per season, it’s going to be tough to retain the likes of Charlie McAvoy and Ryan Donato when they become free agents after the 2019-20 season. So for this to happen, they absolutely have to unload the contracts of David Backes and David Krejci. It should be an interesting month for the Bruins as the NHL’s free agency period gets closer.